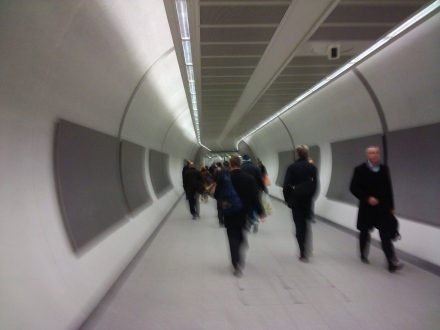 I must confess, I got lost at King’s Cross this morning. I felt a bit like a tourist. The sort that stops suddenly in front of people and then turns 180 degrees, ploughing through the masses against the tide. Why? 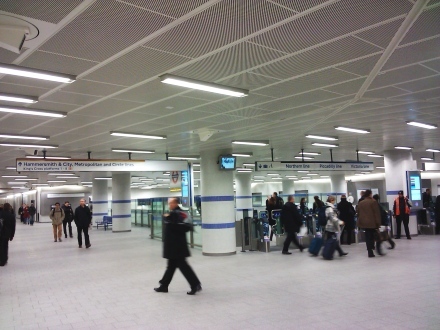 Because they’ve just changed the layout and opened the new Northern ticket hall. They’ve been working on it for months and now they’ve drawn back the mysterious veil and, er… unveiled the new entrance to the Underground. I give you... the Northern ticket hall. Death Star meets Transport for London. I’m going to experiment getting in and out using the new layout. I’ve already identified where I went wrong, so I’ve got some work to do. I need to make it as indoors as possible as the temperature has plummeted in recent days. Still, it looks like the end of being locked outside by TFL staff when it gets busy. Saints be praised.